Last week, I planned the perfect family night out. Take-out pizza + bowling alley + 2 screaming toddlers = my idea of fun! It’s counterintuitive, but this is bad business. So we walk in with our pizzas, and before I can even plead my case to the lone employee working–we see his hand raise up to stop us. I pleaded our case, and he again stuck his hand up in protect. We ate pizza in our car, then went in and bowled (with me growling under my breath). 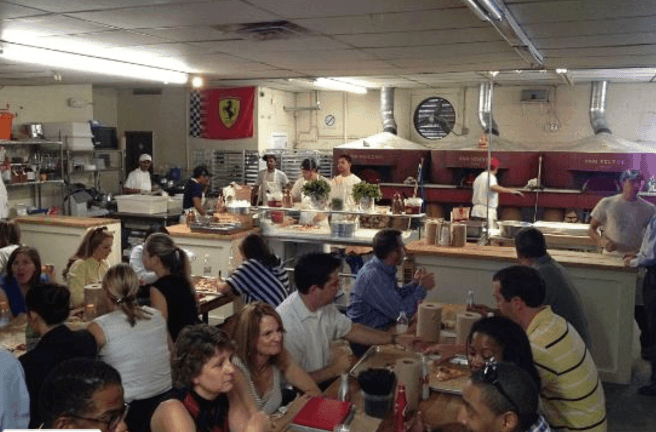 Antico Pizza is our all-time favorite restaurant in Atlanta. 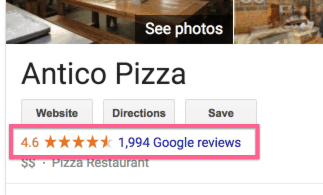 Do they have the best pizza ever? No. Are they the only pizza joint nearby? No. Is their service spectacular? No. Because they allow you to bring your own booze (BYOB). They still SELL beers and wine at Antico, but we always grab wine or 6-pack of IPA every time we go. and guess what? The place is ALWAYS PACKED. 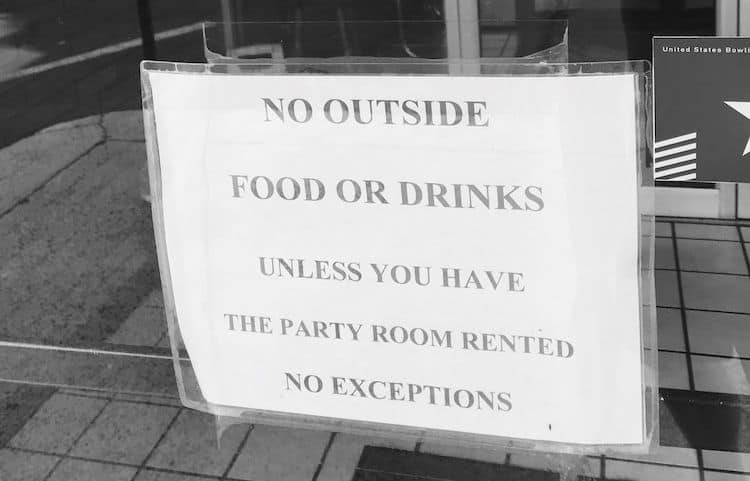 Why does the bowling alley not allow outside food or drink? Because they’re concerned it might eat into their revenues (which is ALSO dumb, but I’ll explain that in a second). Why does Antico do the opposite? Because they care about their customers’ happiness above all else. Antico wants you to have the best pizza experience possible when you are in their building. Every single detail of their entire business revolves around THAT–from the ingredients they use to outside food and drink policy. People FLOCK there, leave rave reviews, and tell all their friends about it. Meanwhile, the bowling alley in Rome has turned off a customer with 2 kids who lives down the street–for what? The “Bring Your Own Booze” Model for Developing Loyal Blog Followers. On my blog, what am I putting first? My success? Or my readers’ success? Your happiness? Or your readers’ happiness? If this means publishing something you’ve been hesitating to publish, even though you KNOW it’ll help your audience, do it. If this means linking out to competitors in your niche, do it. Whatever contributes to your audience’s success = do that. Pro Tip: Ever wonder why Google likes it when we link out to OTHER relevant and useful content? Google presumes we’re trying to make our blog post the most helpful resource ever (Google loves ranking the most helpful resources ever). In a recent post, Brian Dean had hundreds of outbound links in a post ranking in the top spot in Google. 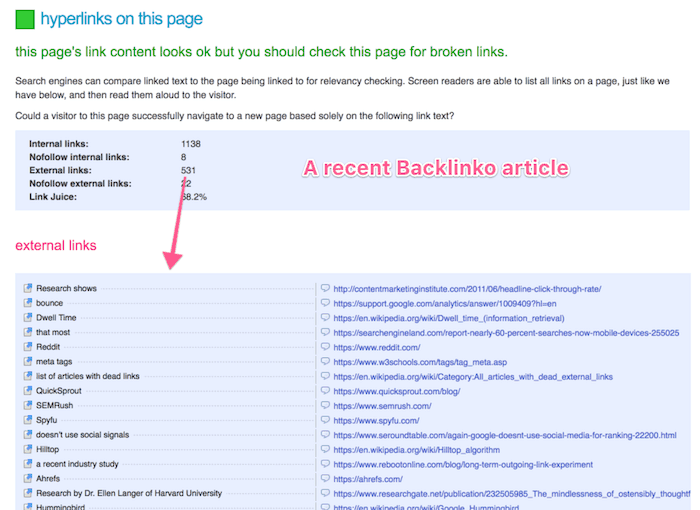 if outbound links would help your readers, do it. He purchased some shoes for his best man off of Zappos (as they had the cheapest price), but sadly the courier routed his package to the wrong location–meaning he would NOT have them in time for the wedding. Jay called Zappos customer support. 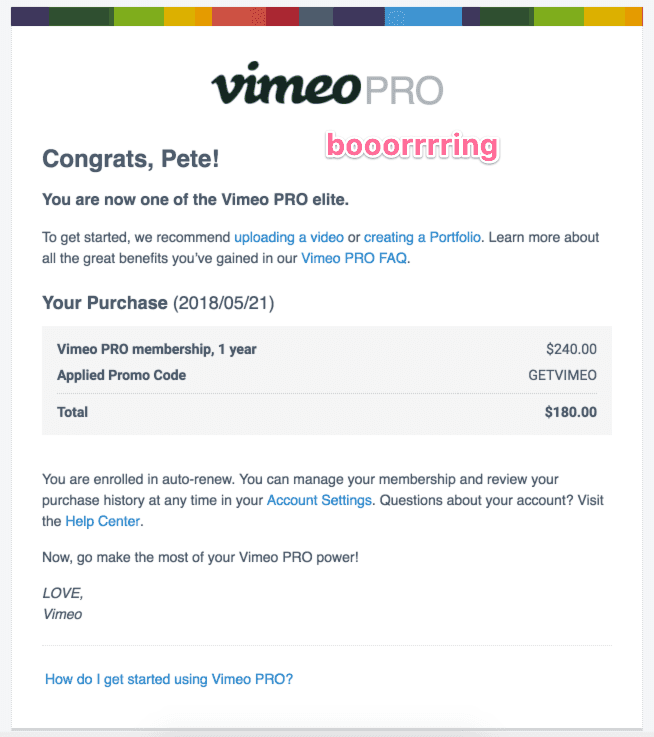 They not only offered to overnight him a replacement at no extra charge, but they also upgraded his account to VIP status and issued him a refund. It was the late 90’s and early 2000’s–Amazon wasn’t even on the scene yet, but CD Baby was (an online retailer of dog socks (jk, CDs)). You know those automated receipt emails you get when you order something online? Derek Sivers (then CEO of CD Baby) decided to take all of 30 minutes–and transform this silly little customer encounter into an experience. Aside from just being awesome–Search Engine Land estimates this email led to over 20,000 citations back to CD Baby’s website. 3 – Why This Type of Behavior Actually INCREASES Profits. We go once every 3 months, that’d be $112/yr–or only $80/yr if they let us bring in food or drink. Ever since the “no outside food or drink” incident, here’s the total amount of money this bowling alley will EVER get from me: ZERO DOLLARS. (We have another bowling alley less than 10 minutes away that is way better. They’ll get our money). Positive WoM = you have a great experience and tell all your friends about it. Negative WoM = you have a terrible experience and tell all your friends about it. Let’s say you have a terrible experience at a restaurant. A mediocre restaurant will apologize and take 20% off your receipt. A GREAT restaurant will send over the manager to apologize, give you the entire meal for free, give you a $50 gift card and a $10 bar tab credit on your next visit. So how can you take this back to your blog? What silly, quirky, fun, personality-infused things are you doing for your readers? If you want people to share your blog posts–what are you doing to encourage that? (Simply putting share buttons on your site is NOT enough). Nobody can tell you exactly how to create meaningful and unique experiences for your audience, but if you want to grow a profitable blog to long-term success, you MUST make this happen. On another note, I understand why the pizza establishment did not allow outside food and drink. I work in the entertainment industry and there are times where you just can’t win. This is one of them. For example, lets say they let you bring pizza in from another place, even though they probably serve pizza as well. Lets say y’all got drinks or any other sort of food from them as well. One of y’all gets food poisoning, more than likely from the outside pizza, not them. Doeant matter. Customer blames their food and sues them. There are also several health department rules that would hold them responsible. Anyways, that’s probably why. You mean the bowling alley? Thanks Pete always great information to follow! I was going along my merry way of reading/pinning in order to keep the Pinterest gods happy. Then I came across this post and felt compelled to take action. When starting something new, we try to follow what’s already been established. And I’ve been trying so hard to “fit in” with all the other bloggers, which goes in direction opposition to my personality style. I love the thought of putting a personalized spin on my writing. So instead of focusing on how to blend in better, I’m gonna just be myself, AND encourage my readers to do the same. I’m not sure what I can specifically do to create that unique user experience — but that will be the goal. I’m diggin’ the idea of emailing one random reader per week. Shouldn’t take long, since I only have a handful. But it’s quality over quantity, right? And if I can provide even more value to the ones I do have, maybe that’ll help grow my following. Thanks Pete — love how you always keep it real and cut through the BS! Totally. A bit of time is a small price to pay for converting cold/warm fans into (hopefully) much more loyal fans. Do it! This is a great article, now I’ll be thinking about it all night. I definitely need to rewrite my welcome email, it’s a start.